Do white dwarfs have planets? The short answer is yes—but they’re difficult to detect by the traditional methods people use to look for exoplanets. In the next decade this might change thanks to a ground-breaking project called the Large Synoptic Survey Telescope, or LSST. 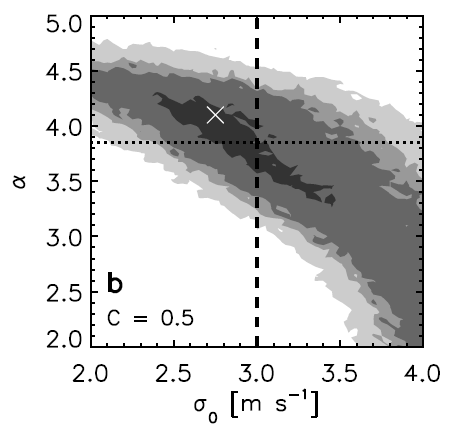 Today’s paper uses simulations to estimate what LSST will see. White dwarfs are dead stars. When a star approaches the end of its lifetime, it swells into a red giant. In a few cases, this will lead to a supernova explosion—but 95% of all stars will never reach the conditions you need for a supernova. Instead, once these stars have exhausted their fuel, they stop nuclear burning and collapse down, shedding the outer layers of their atmosphere as they do so. What’s left is a white dwarf: a hot, dense ball of spent stellar fuel (in most cases a mixture of carbon and oxygen). These stars are roughly the size of the Earth, but have an average mass of 60% the mass of the sun. So, can a white dwarf have its own planets? One might expect that this would be impossible. It’s tempting to think that as a star swells and then collapses, any planets nearby will either be swallowed up during the giant phase or their orbits will become unstable as the star loses mass. Despite this, there is evidence that a significant number of white dwarfs are orbited by small, planet-like objects. 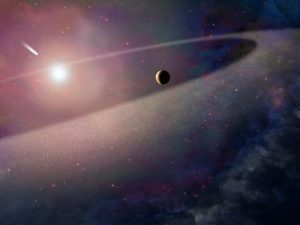 About one third of white dwarfs show traces of rock-forming elements in their atmosphere, which we believe must have recently landed on the surface of the white dwarf. Some are also surrounded by discs of rubble, thought to be planets that have passed too close to the white dwarf and broken apart. For one white dwarf, WD1145+017, we’ve actually detected lumps of rock passing between us and the white dwarf, which are thought to be fragments of an exoplanet which recently broke up. (Figure 1 is an artist’s impression inspired by a few of these detections.) However, we’ve never detected an entire exoplanet, one that isn’t in the process of breaking apart. Part of the reason for this is that the traditional methods of searching for exoplanets, such as the transit method, don’t work too well with white dwarfs. A ‘transit’ is when an object passes between us and a star, blocking some of its light. Thousands of exoplanets have been found by looking for these transits. However, only one white dwarf shows similar transits, and that is WD1145+017 with its lumps of broken-up rock. The problem comes because white dwarfs are small—about one hundredth the diameter of the Sun. The smaller the star, the less likely a transit is to happen, and so there might be thousands of white dwarfs with unseen planets for every planet you could detect. All this might change with a new project, the Large Synoptic Survey Telescope. The LSST is a telescope being built in Chile, due to start operation in the early 2020s. It will survey the visible sky every few days, and it will find many thousands of times the number of stars any comparable survey has found. It is expected to see some 10 million white dwarfs. Today’s paper investigates how many white dwarf transits we can expect LSST to see. Specifically, the question they ask is this: for a given set of properties (white dwarf size and brightness, planet size and orbital period), how likely is it that the planet will be found by LSST? They divide this question into two parts. Firstly, how likely is it that the planet will transit the white dwarf, and secondly, if it does, what is the probability that LSST will detect it? The authors begin with the second part of the question. To answer it, they run 3.5 million simulations of what LSST would see for different combinations of white dwarf and planet parameters. In each case, they calculate whether the transit would be clear enough to be visible, and count up the fraction of the total number where we would see it. An example of the kind of transits that they are looking at is shown in Figure 2. 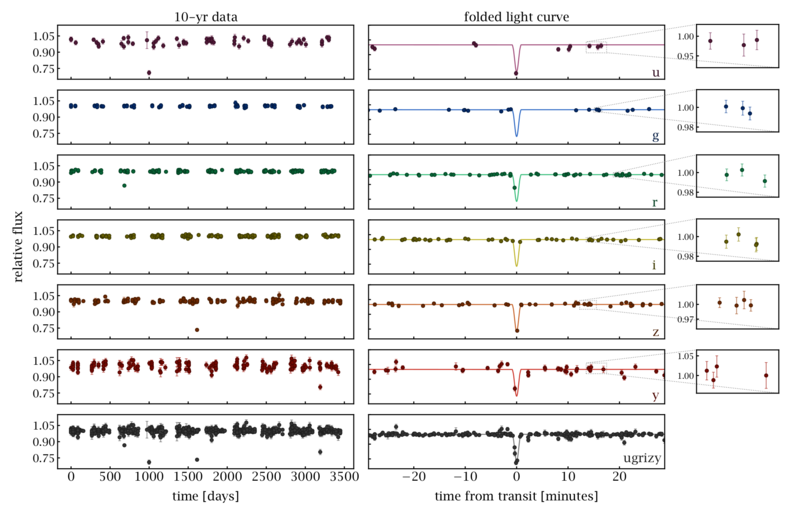 Figure 2: Simulated plots of measured white dwarf brightness against time, as would be seen by LSST, for one set of white dwarf and planet parameters. Each row corresponds to a different filter, with the lower row including observations in all colour bands. Panels on the left show data over the whole 10-year LSST observation period. The right panels show all data points that fall near a transit. Source: Figure 2 in today’s paper. They next looked at the first part of the question: for a given set of white dwarf and planet parameters, how likely is it that a transit will happen at all? This is a much easier question to answer, as it comes down to a simple geometry question: how big is the white dwarf, how big is the planet, and how far apart are they? Once the probability of a transit has been calculated, the authors combined this with the probability that the transit will be detected to produce an overall probability that the system will have a detectable transit. 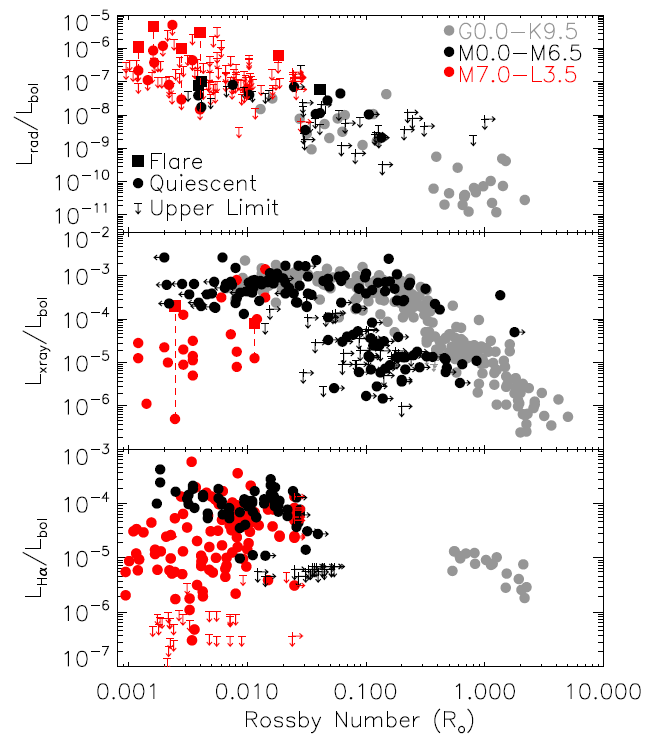 They did this for each set of white dwarf and star parameters, as shown in Figure 3. 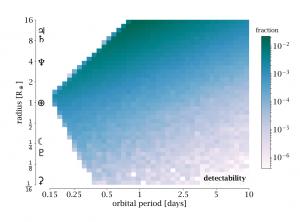 Figure 3: Detectability of a planet around a white dwarf as a function of planetary radius and orbital period. Darker colours correspond to planets more likely to be detected. 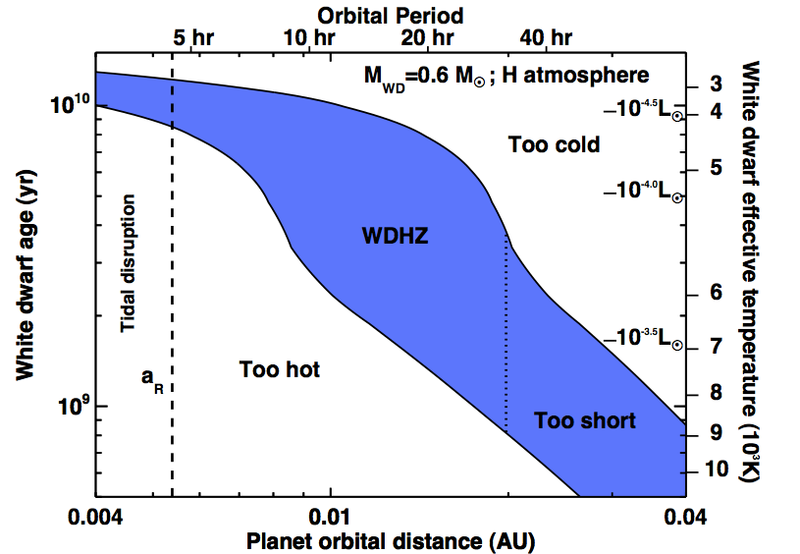 Generally larger planets and shorter orbital periods are easier to detect. The white patches on the left are regions of parameter space where planets would be disintegrated by the white dwarf’s gravity. Symbols down the left show the radii of Jupiter, Saturn, Neptune, Earth, the Moon, Pluto, and Ceres. Source: Figure 3 in today’s paper. The results they find are that most planets will not be detected, which is unsurprising: planets around white dwarfs are as hard to detect as ever. About four in every thousand Earth-sized planets are detectable, and it becomes much harder if the planets are smaller. However, the sheer number of LSST targets comes to the rescue here. LSST will observe 10 million white dwarfs. Based on the evidence we talked about above, such as the white dwarfs with rocky elements in their atmosphere, let’s assume that about 10% of these white dwarfs host planets. From today’s paper, we would expect to detect a number of these planets in transit, and the number might be as high as several hundred if the planets are Earth-sized. Given that only one transiting white dwarf system is known at the moment, this will be a huge increase that hopefully will teach us a lot about these systems. LSST is due to start operation in a little over four years, and this is just one example of the revolutionary science it will make possible. Keep an eye out for more! Detecting Transiting Planets Around White Dwarfs The Radio Activity-Rotation Relation of Ultracool Dwarfs Super-Earths or Mini-Neptunes? Can we predict if planets are lonely? If we could afford Billions we would build an interstellar radar to generate an echo from planets of interest. To save a bit of money we could borrow a SETI system for a known short period as a radar receiver. Existing pre measured chirped pulses already exist The chirped pulse is within all FRBs due to the billions of Parsecs it will already have travelled.